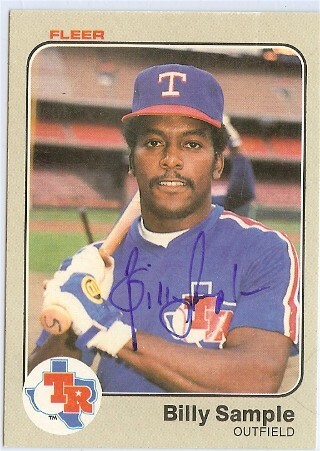 Former Texas Rangers speedster Billy Sample is my guest on today’s episode of The Sully Baseball Daily Podcast. In part 1 of our conversation we talk about his bizarre major league debut, some of the odd trades the Rangers made during the years and his thoughts of playing baseball in the 1980s. David Wright, Jose Reyes, Tim Lincecum, Felix Hernandez, Andrew McCutchen, Jeff Locke, Chris Carter and Hiroki Kuroda all added to their totals for Who Owns Baseball? For information regarding Billy Sample’s upcoming movie,on Reunion 108, Click HERE. This entry was posted in Sully Baseball Daily Podcast and tagged Billy Sample, Fergie Jenkins, Mickey Rivers, Oscar Gamble, podcast, Texas Rangers. Bookmark the permalink.